Venezuela has the biggest oil reserves in the world, but can’t get basic goods like milk and medicine into stores. After 16 years of idealistic but inept Bolivarian revolution under the late leftist caudillo Hugo Chavez and his successor, voters are likely to punish the ruling Socialists in Sunday’s elections, handing control of the legislature to the opposition. No quick turnaround is coming for the wrecked economy, though. The country risks default in 2016. The government of President Nicolas Maduro, hit by falling crude prices from which it derives 96 percent of its hard currency, is running on fumes. Big oil suppliers have begun asking for prepayments when selling products to state oil firm PDVSA because of its cash-flow difficulties, Reuters reported in November. A food-import deal with Uruguay aimed at stocking shelves before the election faltered when Venezuela deposited less than a fifth of the agreed $267 million. Venezuela has taken more than $2 billion this year from reserves known as Special Drawing Rights maintained at the IMF and carried out a $1 billion gold swap with a unit of Citigroup. China has helped with billions of dollars in loans-for-oil deals in recent years. Still, reserves have fallen to just under $15 billion as of last month, down from about $22 billion at the end of 2014. The country’s triple-digit inflation is the world’s highest, according to the IMF, which expects the roughly $200 billion economy to shrink 10 percent this year and 6 percent in 2016. With almost 90 percent of Venezuelans saying they are unhappy with the situation, the main question looks to be the size of the opposition’s win on Sunday. With a simple majority, it could wield some budget authority and pass amnesties for jailed politicians. With two-thirds of the 167 seats, it could try to remodel judicial and electoral institutions. Maduro might try to bypass the legislature; a possible opposition response might be to push for a recall vote to oust the president. Finance Minister Rodolfo Marco said in October that PDVSA had recently made $5 billion in debt payments. The government and the oil group together face about $10 billion in dollar-denominated payments in 2016, though, and Credit Suisse reckons it could become tight toward the end of the year. Rescheduling PDVSA’s debt could be one way to ease the pressure. Even if default is avoided, political discord, rampaging inflation and intense dollar husbandry will make 2016 a grim slog for most Venezuelans, especially the poorest. Venezuelans will vote on Dec. 6 in elections to the nation’s 167-seat, single-chamber National Assembly. 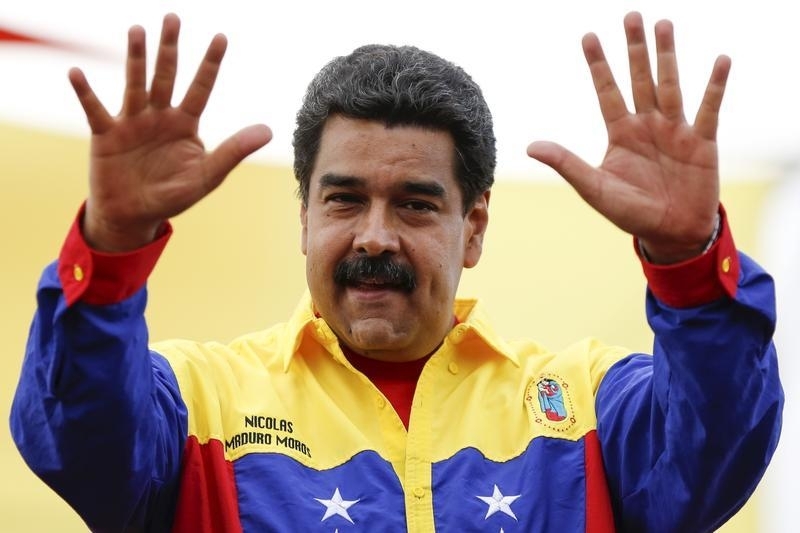 Polling firm Datanalisis sees 56 percent of voters planning to back the Democratic Unity opposition coalition versus 37 percent favoring the Socialist government led by President Nicolas Maduro, whose term runs until 2019. The U.S. Energy Information Administration estimates that Venezuela has proven crude oil reserves of 298 billion barrels, the world’s biggest stock. Second-placed Saudi Arabia has 268 billion barrels.